Quality Lawn Services is a locally owned lawn care company offering Professional Lawn Care Solutions including fertilization, weed and insect control, grub control and many other optional services. 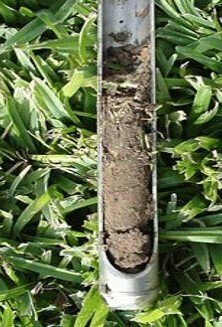 Quality Lawn Services will obtain the soil sample and forward the test results to you along with a customized plan to bring your soil to its desirable level. Your lawn provides a growing, natural setting for your home and a place for your family to relax and play, it needs a regularly scheduled fertilization program to reach its potential. The most effective time of year to apply treatment is during the middle of June, or the month of July during the larvae stage) depending on weather conditions. 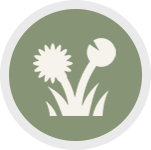 Weeds generally appear in thin areas of the lawn when the soil pH is out of balance. It's important to remember that not all weeds appear at the same time during the season. Ticks are a growing concern in Maine with the potential for Lyme disease or other tick-borne illnesses. 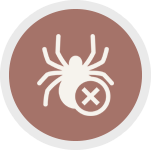 Find out how Quality Lawn Services treats for ticks. There are many benefits to aerating a lawn. Aeration helps to relieve compaction, improve air flow, along with fertilizer and water intake. Quality Lawn Services is a locally owned lawn care company offering Professional Lawn Care Solutions to the Central Maine Area. We are simply the best in Maine! We follow the State of Maine guidelines for Best Management Practices for lawn care as well as IPM (Integrated Pest Management). 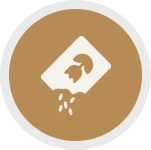 In addition, we use “Caution Label Control Products” (the least toxic on the market) as well as phosphorous free fertilizer around waterways. Quality Lawn Services is Your Best Choice for Lawn Care in Central Maine. When choosing a lawn care company, there are many things to consider in order to make the best decision regarding your lawn. Lawn care companies are far from being “all the same”. With Quality Lawn Services, you’ll have the assurance that your lawn will be treated professionally with quality materials and lawn care professionals who really care about you and your lawn. Quality Lawn Services utilizes state of the art equipment that assures our customers will not experience property damage but will receive the highest quality application possible. We are Central Maine’s fastest growing locally owned lawn care company. This is because we do a better job, use better products, and keep our customers satisfied. Our ability to focus on details has allowed us to grow more every year which helps our customers receive even better service and a faster response. Our experience is why “on our side of the fence the grass REALLY is greener”! Quality Lawn Services is unique from other lawn care companies in many ways. It all starts with our comprehensive soil analysis. Some of our competitors make this claim but when discussing the soil analysis process with our potential customers they remember their vendor talking about the soil analysis but never receiving any results or having any follow up. With our service, you receive a detailed report with our recommendations of a customized program that will result in a lawn that people can only dream about. Most of our competitors don’t have the technology to perform such service, therefore, they treat all lawns with the same fertilizer when in all actuality your lawn may require specific fertilizer blends for best results. 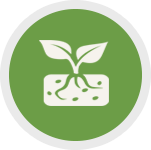 Quality Lawn Services fertilizers are blended with advanced technology that utilizes better ingredients that have less potential for run off and less potential for environmental problems. 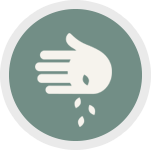 Quality Lawn Services fertilizers last longer for better results and we use zero based phosphorous around waterways and in areas that warrant its use. 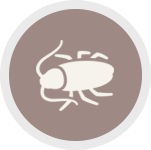 Last but not least, Quality Lawn Services utilizes control products for weeds, insect and grub control that are ‘Caution Label’ the least toxic on the market. Most of our competitors use danger label products which traditionally are less expensive but not very friendly to you, your pets, your lawn and the environment. Quality Lawn Services application process is thorough, you will know we are on your property as we always knock on the door to notify you that we are starting the application, inquire if you have any questions about today’s application, won’t use equipment that will damage your yard and will provide you with a detailed explanation of what we found in your lawn such as insect or grub damage or a problem weed and how we corrected it.